Defining Play – The Difference Between A "Date" and A "Meeting"
Having more “Dates” immediately increases your achievement and enjoyment in life. Here’s the important distinction between a Date and a Meeting that will add more positive balance to your life today. (Average reading time 120 seconds). Perhaps you have read one of the many studies out today that directly link high stress with a variety of critical ailments including high blood pressure, heart attack, impaired immune system, emotional instability, spine and muscle pain, and reduced brain functioning. Taking some time to Play every day reduces the production of excess stress hormones that produce these negative physical and mental consequences. In addition to reducing negative stress, Play is vital to creating greater value and balance in your life. But most of us are so caught up in the important and varied Actions of our everyday lives, that we’re a bit foggy on what Play even is. So let’s clarify the difference between Action and Play by defining the difference between a Meeting and a Date. A “Meeting” is Action time, with major decision topics for one or all of the participants. However, a “Date” is Playtime, with NO major decision topics for any of the participants. A meeting is action. It’s about doing, discussing or evaluating important decisions in your business or personal life. A Date is Play. It’s about rest and relaxation, smiles, laughs, some unwind time…and no major decision topics. Let me illustrate the importance of distinguishing the two with a personal example. My wife and I work together. I met her in a previous business where she was in charge of our finance and administrative functions. We fell in love, got married, she “retired” and we had two children. A few years ago I asked her to join our present firm to help with some expansion plans. As a result she and I work together daily, have two teenage daughters, have house payments, car payments. So obviously, we have a lot of meetings. Now lets say we decide to just get away from it all and go out for a dinner “date” – a little R&R. Imagine candlelight, a little wine – we’re having a good time. We might be talking about important topics like world politics. Neither one of us is a world politician so no major decision topics there. Or maybe we’re discussing a major trial in the news. Neither one of us are lawyers, so once again , we do not have to make any major decisions. Or maybe we are romancing a bit about what’s going to happen at the end of the evening because the girls aren’t home tonight…not a major decision. And we are laughing, smiling, flirting. What have I done to that date? Right. I’ve turned it into a meeting. And what have I done to the chemistry of the moment, maybe of the whole evening? I’ve potentially ruined it…simply by replacing Play with Action. Now the longer you are involved in a romantic relationship the more joint responsibilities you are going to have. So it’s appropriate to have more meetings. But if you replace all of your dates with just having meetings, then all of the umph and all of the spark can go out of the relationship and out of your life. Are you still dating? Or are you just having……meetings? If you haven’t had a really good date lately, especially a romantic date, explain the difference between a date and a meeting to your significant other. Then go out and stick to the “no major decision topic” definition. You may find when you go out, you have nothing to talk about. It’s almost like being on a first date. But you’ll find it fun and exciting exploring new topics. Now a date versus a meeting applies to more than just your romantic relationships. It applies to your relationships with your co-workers, your friends, children, parents and even with yourself. A mistake I made too often in the past with the managers I worked with drove this home to me. I’ve always operated in a fast-paced, get-it-done environment. Occasionally some of the team would ask me if I wanted to go to lunch with them. I knew that they just wanted to take a 45-minute break from work, get recharged and come back in ready to make things happen. But I would always go with an agenda. Instantaneously you could see the whole complexion of that lunch change. They didn’t have a very good date, or R&R time. I didn’t have a very good meeting. And you know what else happened? They quit asking me to lunch. I was a bit slow but I finally figured it out. Now before going out we clarify whether it’s Date or Meeting time. Often, what we end up saying is, “Let’s get all business topics out of the way before the food comes. Then when the food comes lets make it just Play.” That way nobody has to sit on the edge of their mental seat waiting for the ball to be passed to them while we’re eating. So Play time means no major decision topics whether they are about work, the leak in the roof, the kids’ report cards or even your health, unless it’s good. Clarify up front whether you are going to have a Date or Meeting. And when you are Playing be sure and celebrate the things that make up that moment…your surroundings, your meal, each other, yourself. Remember your body, your mind and your spirit NEED this Play time for a healthy, happy whole life. Make enjoying some non-decision topic play time a happy requirement for yourself… EVERY DAY. You should have regular Play time in each of your four life quadrants. Just like bad habits, good habits are also hard to break. To make something a habit, you simply have to focus on doing it for 30 days. After 30 days of focusing on your “good habit”, it will be hard for you to NOT do it! So RIGHT NOW, pick the one activity that you think will improve your life most dramatically. For example, exercising, eating healthier, setting aside more Play time, starting back on that hobby you love, reading to improve your professional skills. 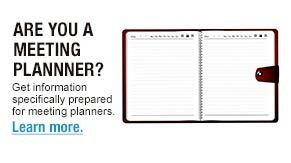 Now, write a reminder to do it in your planner every other day for the next 30 days. Even though you may want to do it every day, we recommend you write the activity down in your planner for every other day. This prevents it from looking like print on the page that your mind just overlooks. Seeing it should be an “ah-hah” re-enforcer. Think this is a good idea? Do you want to improve your life with a good habit? Then write the reminders in your planner RIGHT NOW – and make it happen. Work-Life Balance at Your Next Meeting? The interest and demand for Work-Life Balance from your managers, sales people and employees has never been higher. Why not have the leader in the field deliver a high-impact program at your next meeting? Aristotle was a Greek critic, logician, philosopher, physicist, father of logic, father of dramatic criticism who lived from approximately 384 B.C. to 32 B.C. The 5 Steps to Better Work-Life Balance training program creates more value and balance for you and your team on and off the job every day. Proven productivity impact through the use of a common organizational language for work and life. Learn more about this internationally recognized program.